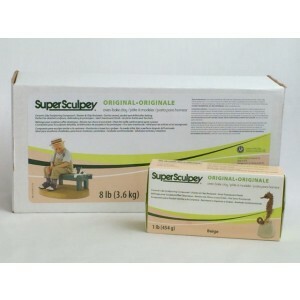 Dalchem is one of the leading providers of polymer clay supplies in Australia. Polymer clay is a moldable polymer compound and is much more versatile than regular clay. Our Polymer clay supplies comes in a variety of colors and multiple clays can be blended to make a clay in the color of your choice. Polymer clay also comes in handy for those who don’t want to blend two colors, but want to use two colors distinctly to create some type of special effects. Polymer clay is very easy to shape and bend and thus can be used for a variety of applications including glasswork and sculpting. Polymer clay is non-drying, and so it doesn’t stick to the hand. Being non-drying also means that there’s no time limit when working with polymer clay (unlike regular clay where there’s time pressure to avoid the clay getting set). Dalchem’s polymer clay is non-toxic, and it remains soft till the time it is baked.